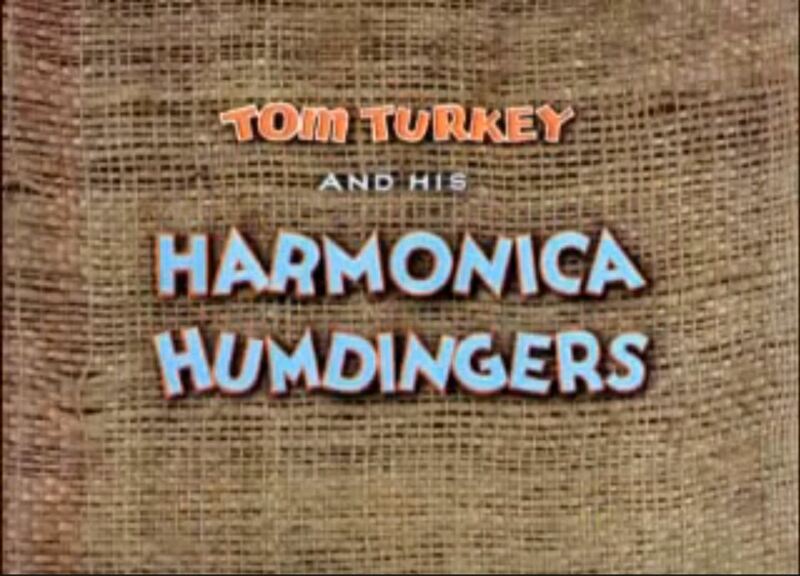 This is an original opening title cel from the MGM Studios production Tom Turkey and his Harmonica Humdingers (1940). 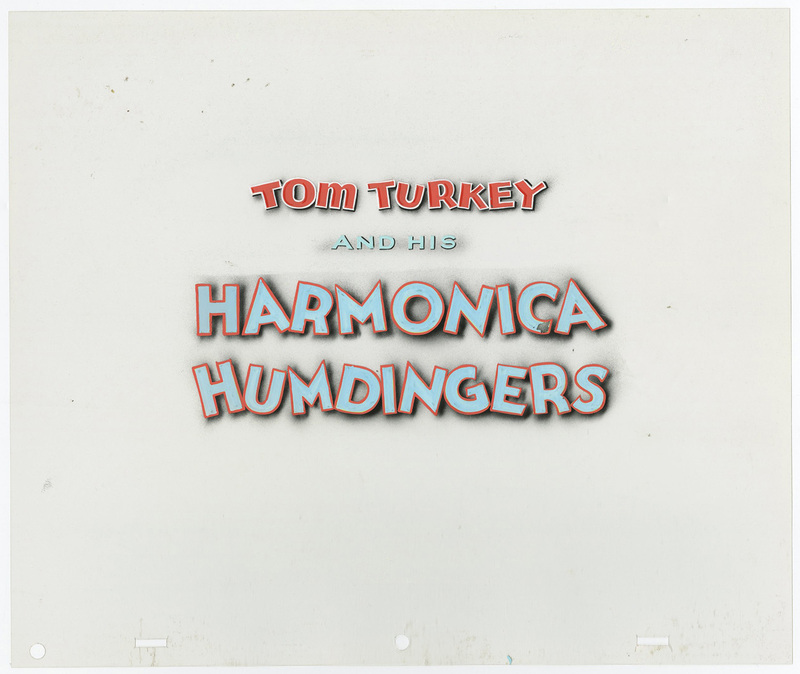 This title cel features the opening title credits and was created at the studio and used during the production of the film. The overall measurements of the piece are 10.5" x 12.5" and the image itself measures 4" x 7". The paint on this cel has experienced some paint minor paint damage.The third image shown is a screen shot of the actual title card as it appears at the beginning of the short (this is just a reference image and not a tangible piece included with the title cel).